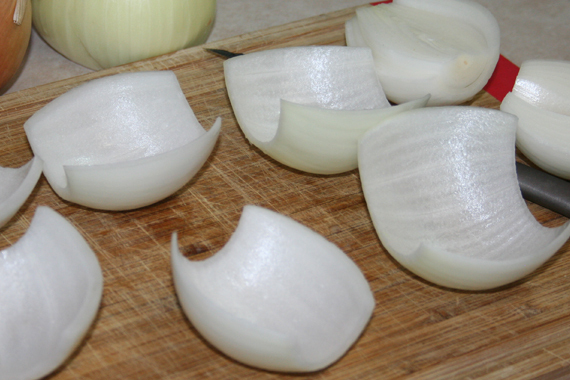 Cut the top and bottoms off of your onions and get rid of the tough exterior skin. Slice it in half and keep the matching pieces of the biggest layer. 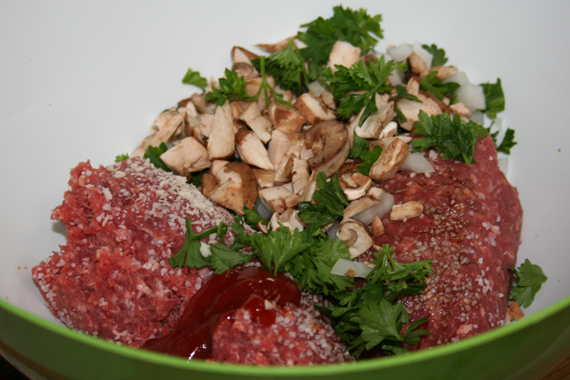 Make your meatloaf, for your meatballs, by mixing 1b of ground beef, diced onion, parsley, mushroom, and all of the spices and ingredients. 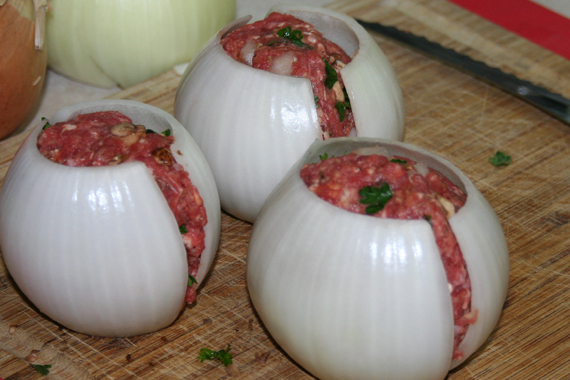 Place your meatballs inside your two halves. 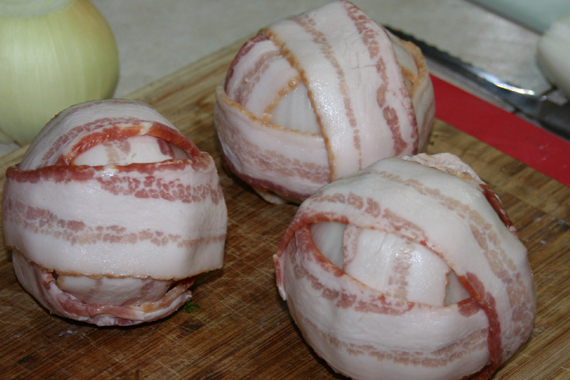 Wrap 3 pieces of bacon around your onion ball and secure with toothpicks. 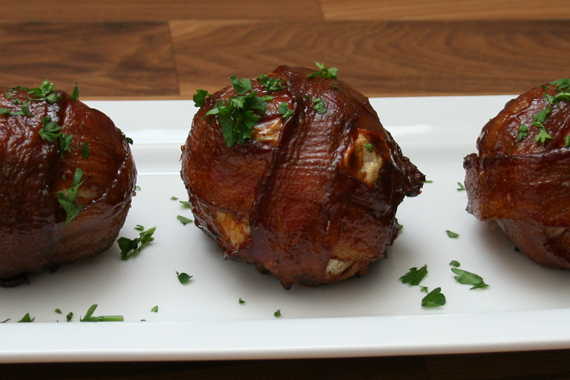 Cook your bombs at 225 degrees to smoke for an hour. 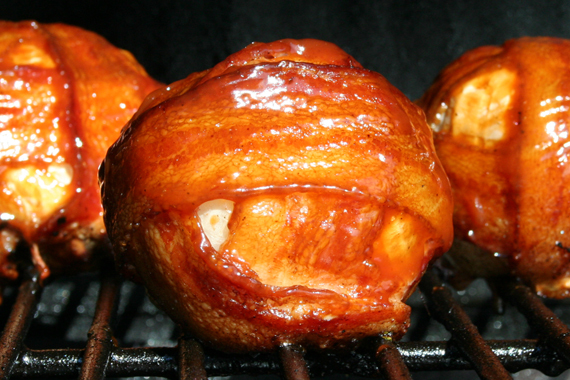 Then cook at 350 for another 20-30 minutes until the internal temperature is at 160-165 degrees F. In the last 10 minutes of cooking, cover your bombs in BBQ sauce and let it glaze! 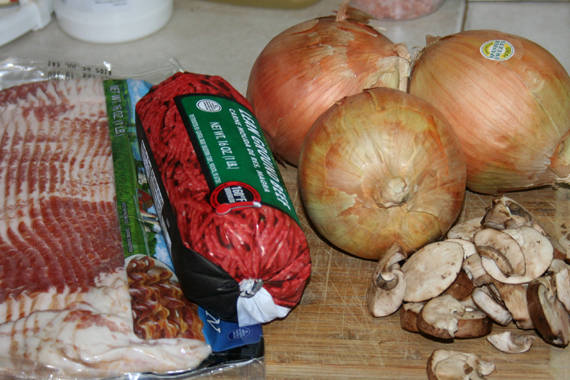 Campfire option: Wrap each onion ball in foil and drop into the coals. Cook until temperature reaches 160-165. Sauce the meatball and place over the fire with a cooking fork until glazed.